Hello Dr. Digi fans !! 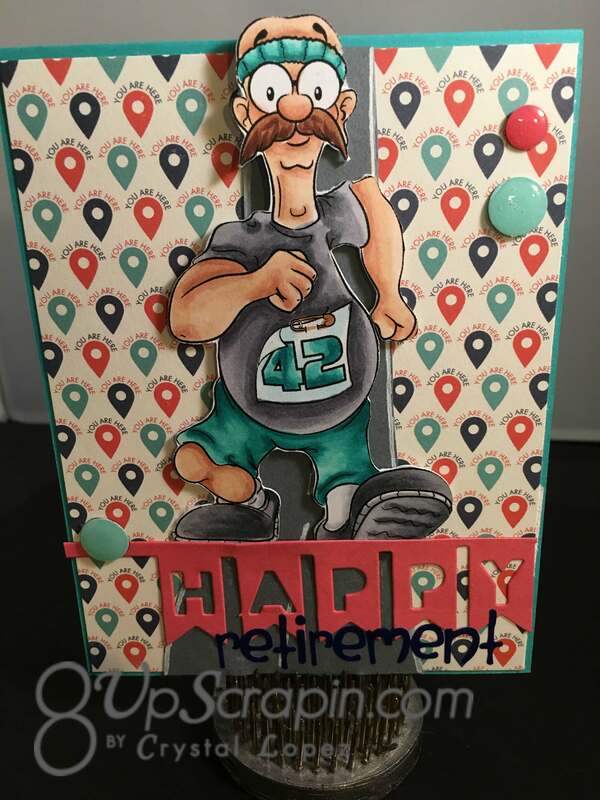 It’s Crystal here and today’s card is a retirement card using Run Derek Run from Doctor Digi’s House of Stamps .My thought was he was running to the finish line to a Happy Retirement , I thought this would make a great masculine card perfect for a guy retiring . 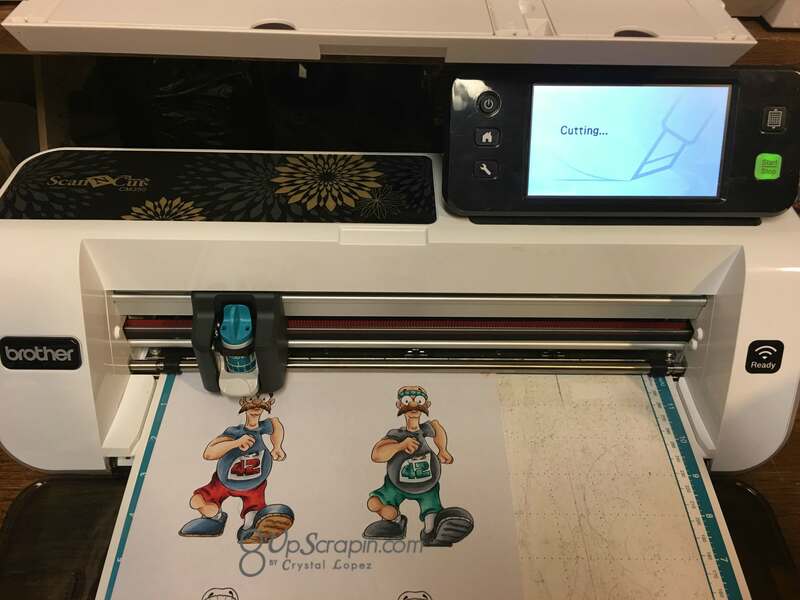 I copic colored Derek and the fussy cut him out with my brother ScanNcut , this machine does an awesome job cutting out images that you don’t have a die for. 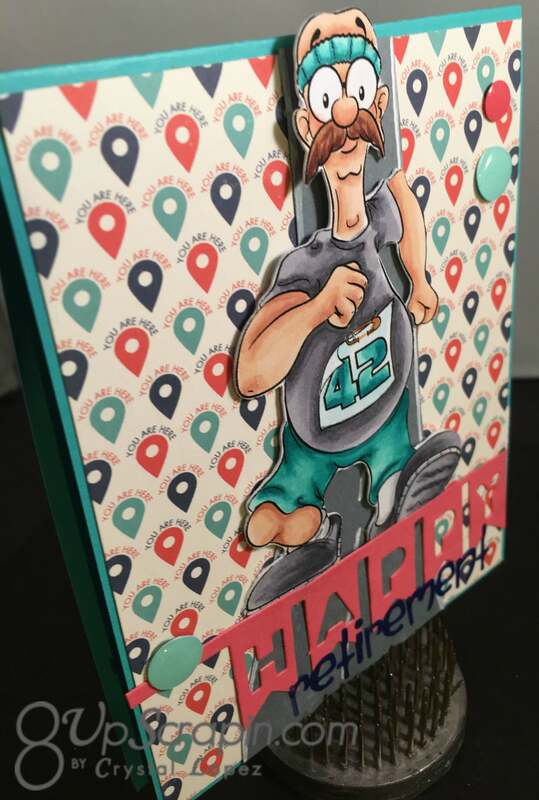 I chose a paper that says “you are here ” and then I used a Happy banner die from My Favorite Things and the retirement is cut from vinyl and I used my Silhouette for that. 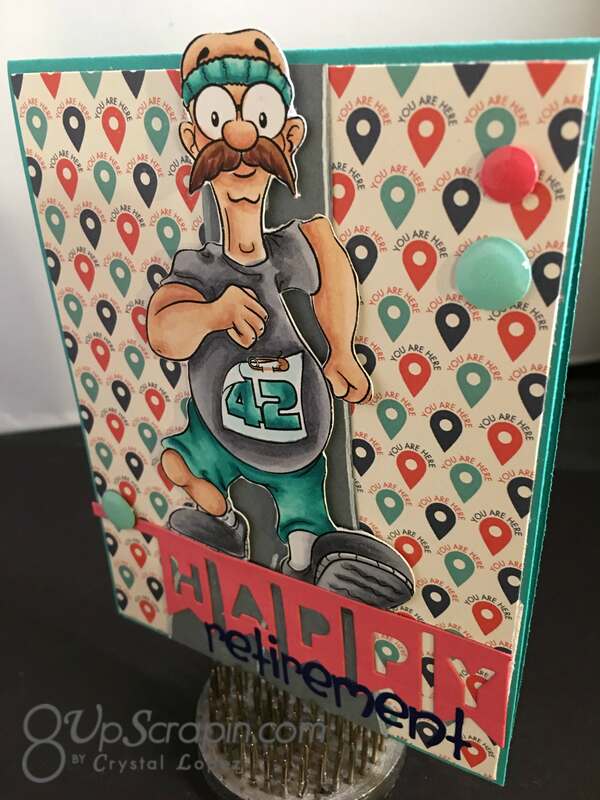 I added a few enamel dots and hand cut my road he is runnning in and used a sharpie white marker to add road lines.. he’s on the Road to a Happy Retirement .. If you like this digital stamp or would like to see other great images run over to visit Doctor Digi’s House of Stamps he carries so many perfect for any occasion or just for fun and if you don’t like to color he carries the great images pre-colored too .